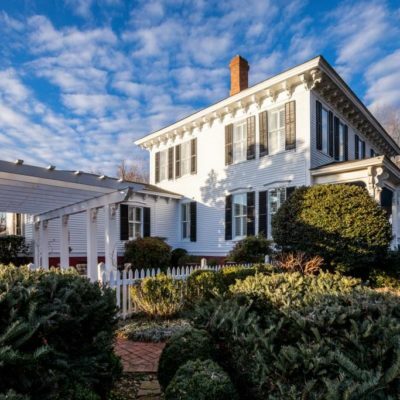 This lovingly restored farmhouse features 4 Br, 3 1/2 Ba with gracious living spaces. Original flooring, walls, beams, and FP in the center of the house. Each end has had additions built using reclaimed finish materials to ensure the integrity of the style. 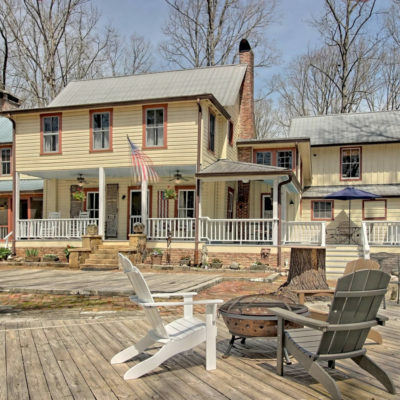 This home offers comfortable living while enjoying the ambiance of days gone by. Almost 5 acres in a great location. This house has been rehabilitated and is in good condition. The house comes furnished with period antiques, an inventory of which is available upon request. Considered the oldest house in Sparta, the Rossiter-Little House was constructed c. 1797 by Dr. Timothy Rossiter on the town’s highest spot. The two front wings were added before the Civil War. The Rossiter-Little House was documented by the Historic American Building Survey in the 1930s. Original materials include fireplace mantels, heart pine floors and interior walls of hand cut boards. The two-story house has a kitchen, eight main rooms and two bathrooms. Small town EASY living! Many original fixtures remain, preserving its authenticity & charm of the once local boarding house. 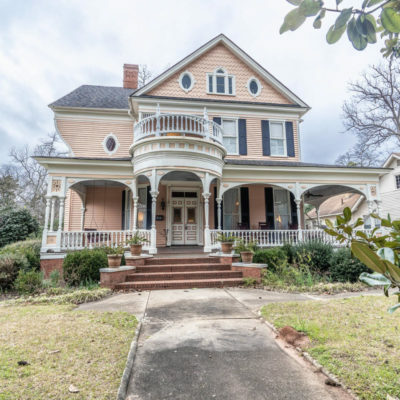 A wide center hallway, heart pine floors, original moldings & pocket doors throughout. 9 fireplaces, 2 w/ original English tile. Addition to the home is plumbed for BA & mini kitchen/laundry perfect for in-law suite. Main floor includes Master Suite, office/study, formal dining & new HVAC. 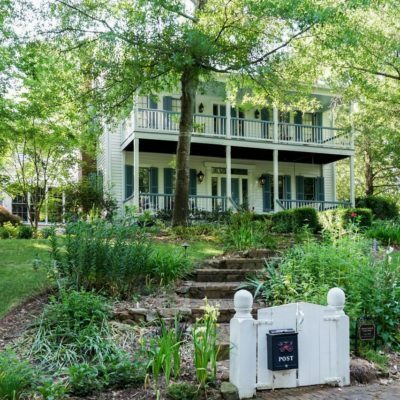 Large porches overlooking beautiful landscape, irrigation & storage barn. Listed on National Register of Historic Places & potential B&B. 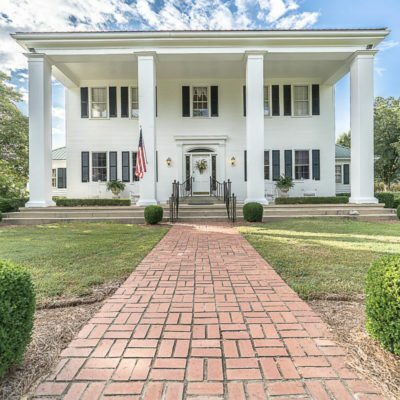 Rhonda Smith, Algin Realty, Inc.
Country Estate – Historic Brookfield Plantation was completed in 1875 and is on 17 acres, under an hour from Atlanta Airport. 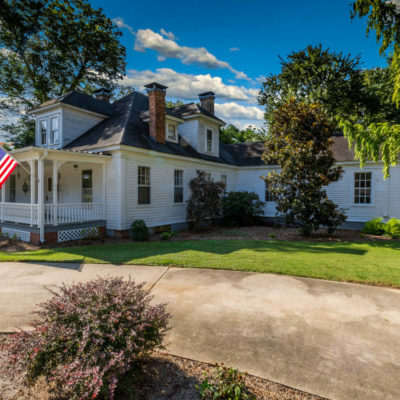 Surrounded by Guest Cottages, a Party Barn, Horse Stables & the Old Mills Smoke House, the Main House is a beautiful two story dwelling w/tall ceilings, wide center halls, heart pine floors & original staircase. Enjoy the renovated 4 Bed 4.5 Ba home & two renovated Guest Cottages w/bedrooms & kitchenettes. 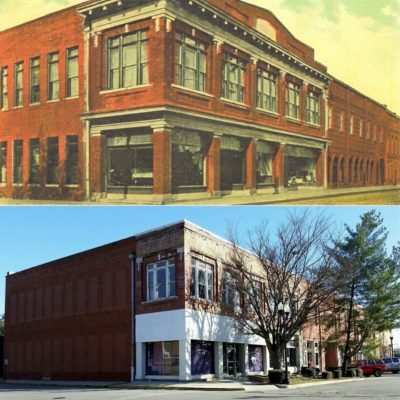 All listed on The National Register of Historic Places. Great for Events or as a Bed & Breakfast. A must see! Built in 1801 by Charles Jackson, 314 Osborne Street is one of the oldest homes in St. Marys. 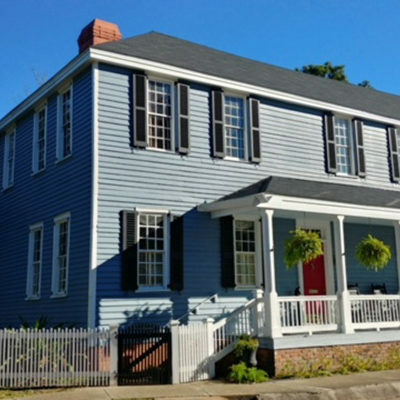 Just blocks from the waterfront and Cumberland Island ferry, this beautiful home boasts pine and hardwood floors, porches on upper and lower levels, 5-bedrooms 3.5 baths in the main house, 2-bedroom, 2 bath guest suite, art studio or apt and she-shed in back. Perfectly suited for a B&B or private residence. 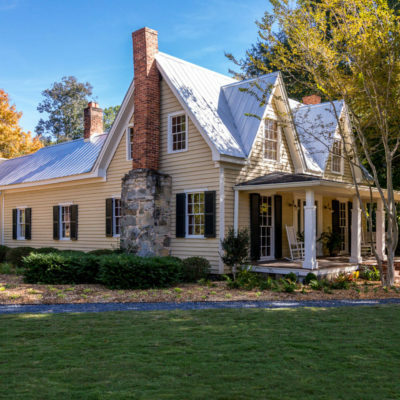 This beautiful home was featured on a Georgia Trust Ramble in 2015. Sharon-Cooke house, c. 1840 is located on quiet street in the heart of Madison’s Historic District. 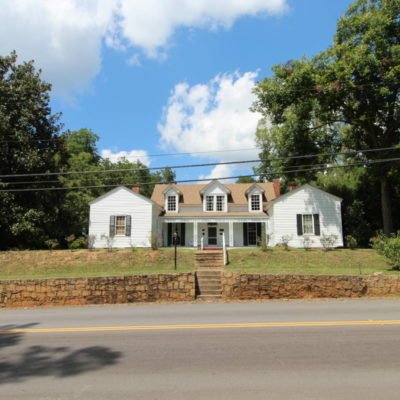 Completely restored two over two Plantation Plain house. Meticulous and creative restoration with all the pluses of modern living. Great room has hand hewn beams; interior doors are made from floor joists of original house. Elegant dining room and entrance hall. 4 bedrooms, 3.5 baths, vaulted ceiling in great room with masonry fireplace, beautifully landscaped, 2 car garage.